Building up the anointed Czech strain from the Library of Ancient Yeast. The Old One demands some jams to accompany its emergence from dormancy. 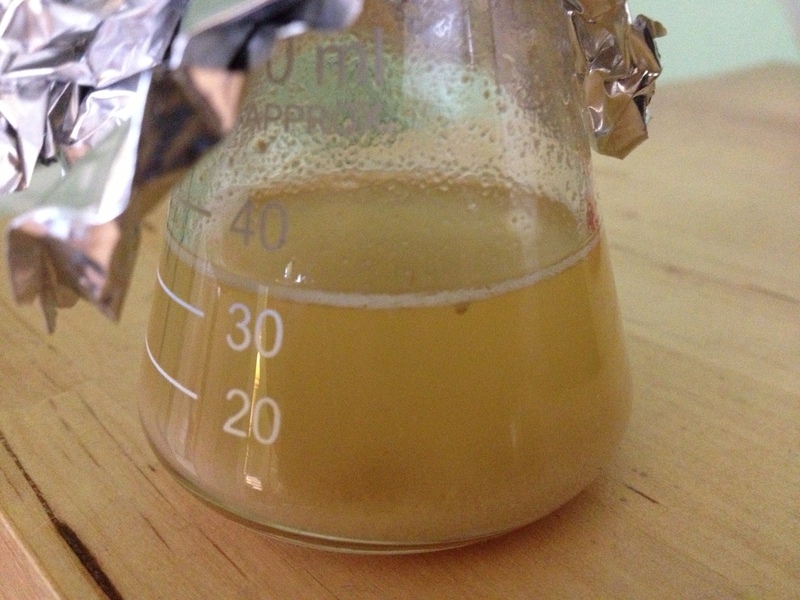 This entry was posted in elements and tagged yeast, yeast propagation by MD. Bookmark the permalink. With a little help from my friends – Beatles. How about let it grow by clapton. “In the Wake of Poseidon”, King Crimson. Is this about the Mozart effect? That should wake em up and get em in the mood to tear up some saccharides. Not saying your yeast bank is ghetto MD. In fact I bet it’s pretty pimp. Somehow, thats on my mind.. When you capitalize Old One it seems to be a Lovecraft reference to me. So “The Thing that Should Not Be” sounds like an obvious choice to me.